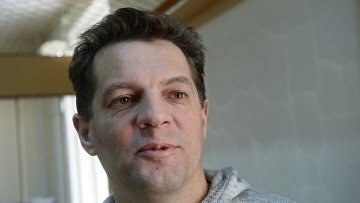 Ukrainian journalist Sushchenko transferred to Russian prison – Feygin | Russian Legal Information Agency (RAPSI). MOSCOW, October 8 (RAPSI) - Ukrainian journalist Roman Sushchenko sentenced to 12 years for espionage against Russia was transferred to a prison, ex-attorney Mark Feygin wrote on his Facebook page on Monday. “Upon preliminary information, Roman Sushchenko has been convoyed to the place of service of his sentence,” the statement reads. The Moscow City Court convicted and sentenced Sushchenko in June. In September, the Supreme Court of Russia upheld the prison sentence. According to Russia’s Federal Security Service (FSB), the Ukrainian citizen has "purposively collected classified information about the Armed Forces and National Guard of Russia." Leak of data abroad could cause damage to the national defense capability, the FSB officials claimed earlier. Charges were brought against Sushchenko in October 2016. The journalist pleaded not guilty to espionage. Ukrinform news agency earlier confirmed that Sushchenko had been acting as its reporter since 2002. Since 2010, he has been working as Ukrinform’s personal correspondent in France. According to the agency, Sushchenko arrived in Moscow on private business during his vacation and was arrested immediately upon his arrival. 14:59 08/10/2018 Ukrainian journalist Roman Sushchenko sentenced to 12 years for espionage against Russia was transferred to a prison.